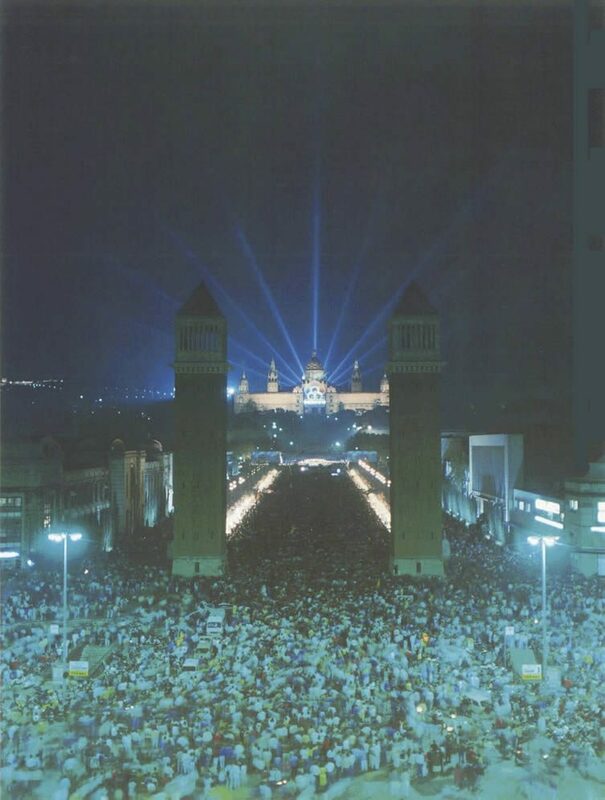 Barcelona, 05-08-1992. A diver during the 10 metre platform event. Catalan architect Antoni Gaudí, are in the background. 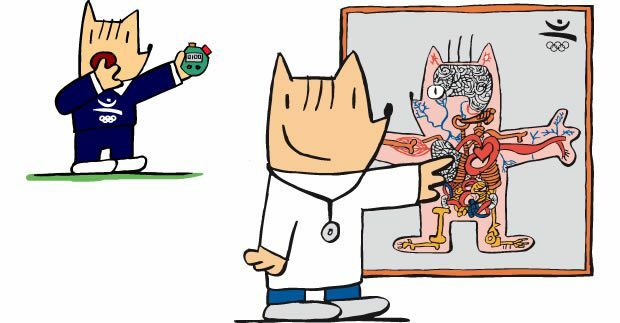 EFE/Txema Fernández. Barcelona has fared well from a succession of major events: the 1888 Barcelona Universal Exposition leaving behind it Ciutadella Park (with its monumental fountain and Domènech i Montaner-designed Castell dels tres dracs), the Modernist Arc de Triomf, and the 197 foot-tall Columbus Monument; a second World Fair, the 1929 Barcelona International Exposition, reshaping Montjuïc and adjacent areas like Plaça d’Espanya. 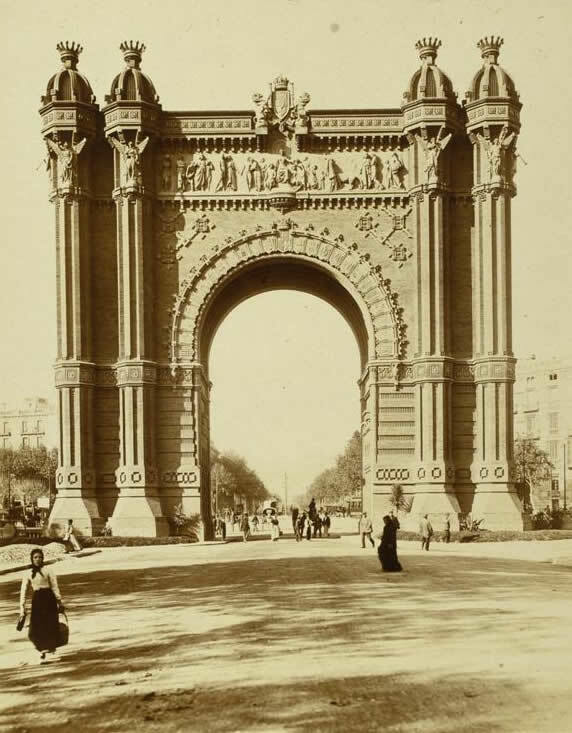 Barcelona’s Arc de Triomf in 1888. Grand statements and a nod to the city’s famed Modernisme would see the Palau Nacional de Catalunya; Font màgica de Montjuïc; Teatre Grec; Poble Espanyol; and the Estadi Olímpic Lluís Companys erected, but a new wave of modernism rooted in the Bauhaus movement would seep into the city, too; in the shape of German architect Ludwig Mies van der Rohe’s incredible Barcelona Pavilion. 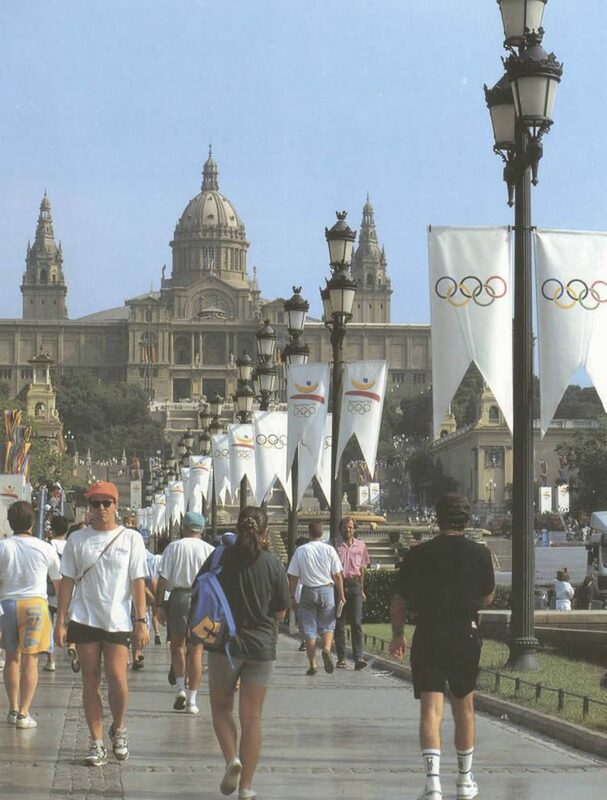 Memories are short, though, and the Catalan capital’s 1992 Olympic Games are often regarded as the city’s turning point; with due note. 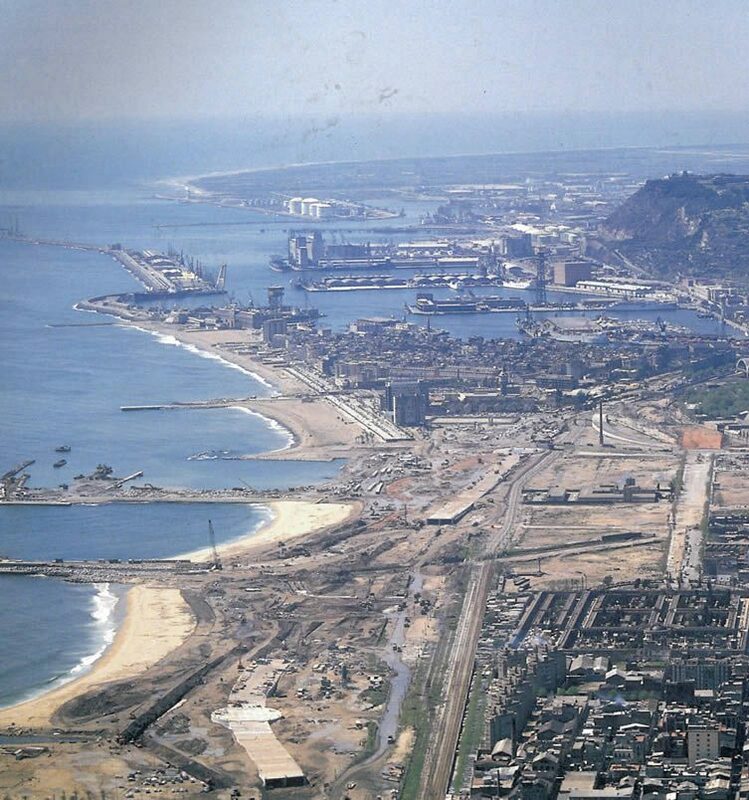 Barcelona was in dire need of urban development, and the billions of dollars that the Games brought with them were used more efficiently than had been seen before, or after. Two miles of manmade beaches, a new marina, first-rate sporting facilities (many which are still in use today) … neighbourhoods transformed forever. It might be rued by those struggling with today’s tourism overload, but Barcelona had transformed itself into one of Europe’s most popular all year round destinations — previously niche, the scruffy Mediterranean city went mainstream and has never looked back. 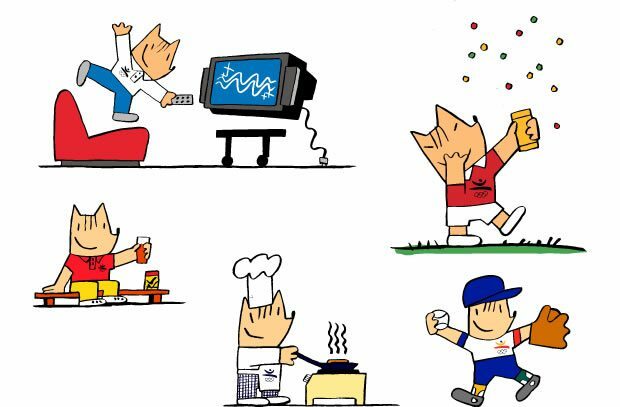 Marking the Games’ 25th anniversary, a number of events are underway. Currently showing at Espai Mercè Sala in the Diagonal metro station is Barcelona ’92 Images: Building for the Olympics, an exhibition of some 120 images from an archive of millions, Images immortalised over sixteen days that summer; images that made front pages the world over; images that made history; shots from the incredible Piscina Municipal de Montjuïc diving venue some of the most iconic. Shot on location at Estadi Olímpic Lluís Companys, that Antoni de Moragas-designed Olympic diving pool, and another 41 venues used throughout the games, the exhibition reinforces values like solidarity, peace and respect; images from the 1936 Popular Olympic Games of Barcelona — an event for the participation of athletes who refused to participate in the Nazi-lef official Olympics of Berlin — and the XXXV Edition of the Great International Prize of Athletics demonstrating the city’s long-standing association with athletics. 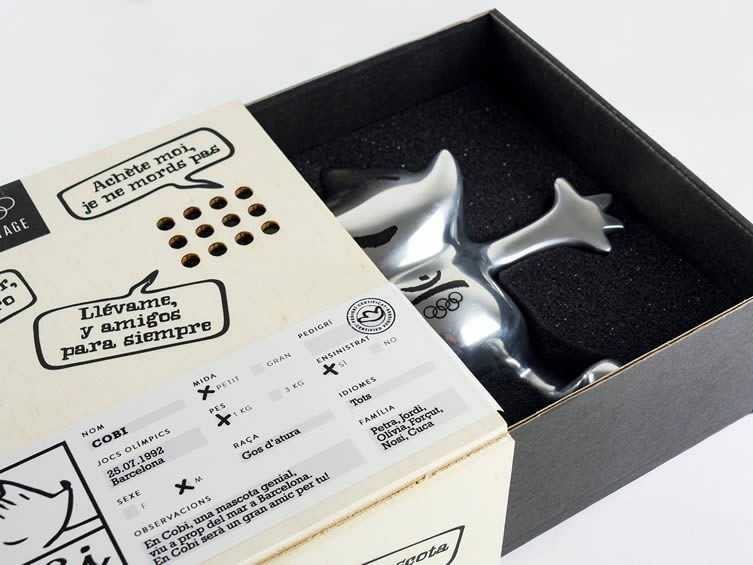 Elsewhere, Javier Mariscal‘s much-loved Cobi mascot is making a popular return to Barcelona, his abstract smile beaming from billboards the city over — renowned Barcelona design store Pilma even creating a hand-polished aluminium edition for his 25th birthday; students from design school ELISAVA working on its splendid packaging. 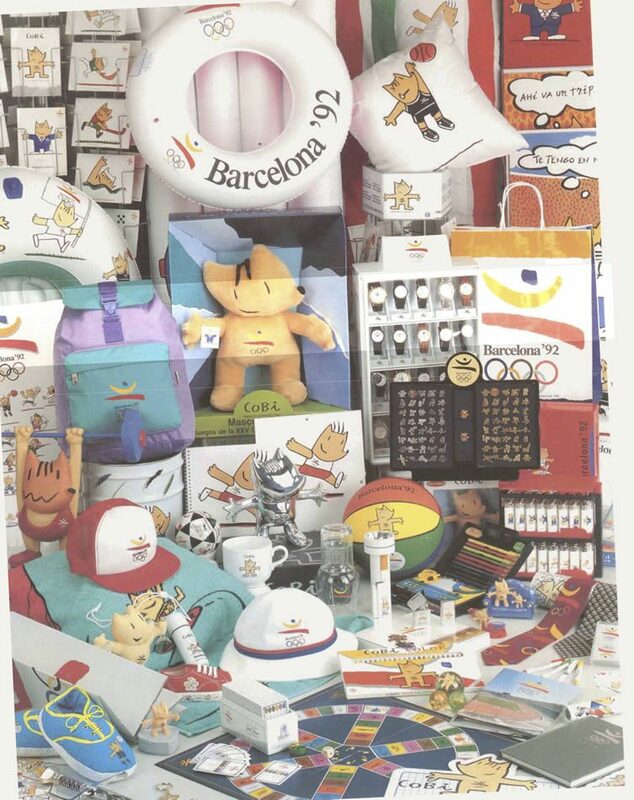 Aquell Estiu del ’92, showing at Joan Antoni Samaranch Olympic and Sports Museum, is another exhibition commemorating the 1992 Olympic and Paralympic Games; Barcelona ’92 Images: Building for the Olympics will remain on display until 26 September; and the Ajuntament de Barcelona are carrying a wealth of information, videos and documents on their specially-designed microsite. Dive in! 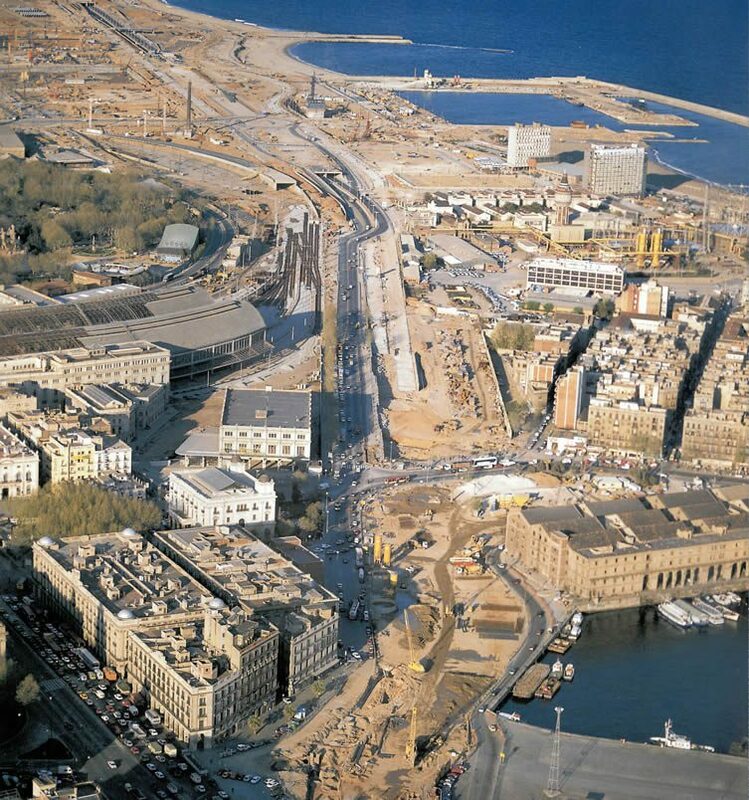 Images of Barcelona’s waterfront pre-1992 Olympic construction: Well into the second half of the 20th century, it was frequently remarked that the city lived with its back to the sea; such was the decline of its coastline. 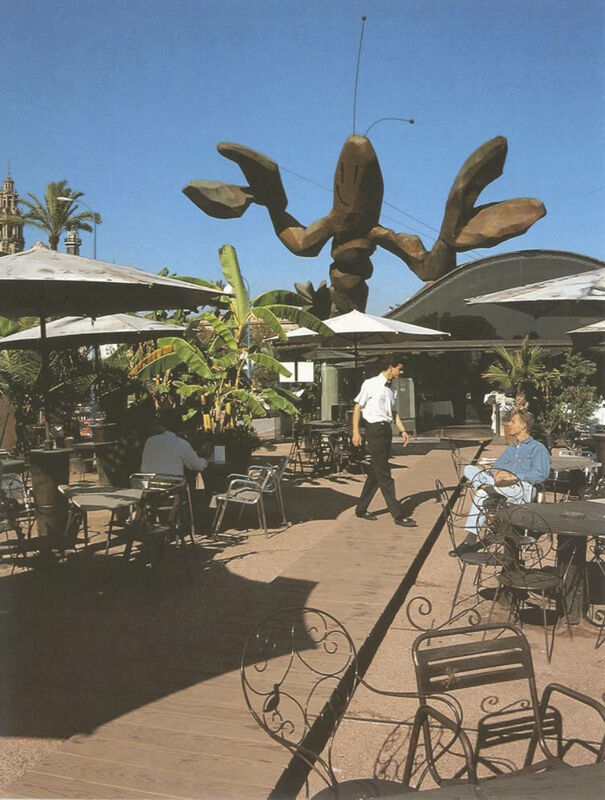 By the early 1990s, the waterfront was used mainly for industry, and largely inaccessible to the public. Giving Barcelona its beaches back was one of the Games’ most significant successes. Barcelona, 08/10/1988. 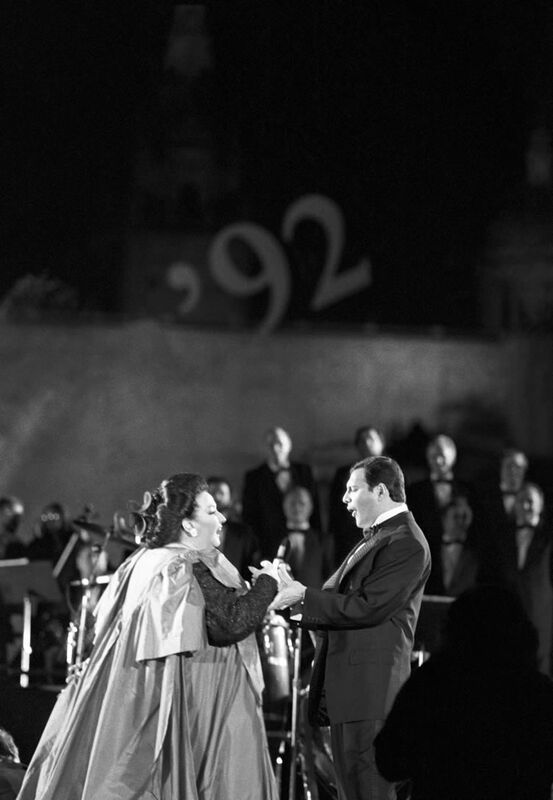 Spanish soprano Montserrat Caballé and British rock singer Freddie Mercury perform ‘Barcelona’, composed by the Queen frontman, at the ‘La Nit’ festival. 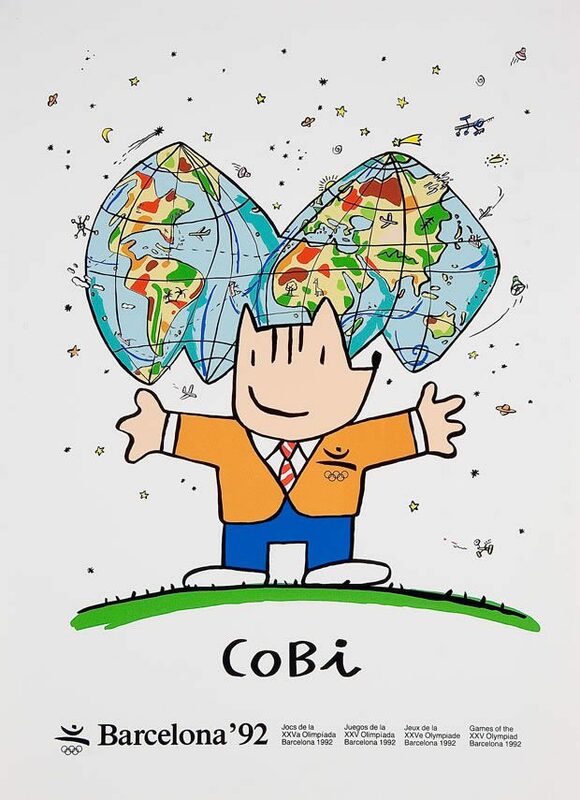 The event was sponsored by the Barcelona ’92 Olympic Committee (COOB) during the opening of the Cultural Olympiad of the Olympic Games, which will take place in 1992. EFE/Micky Ribera/Albert Olivé. From Barcelona ’92 Images: Building for the Olympics at Espai Mercè Sala. Badalona (Barcelona), 27/07/1992. 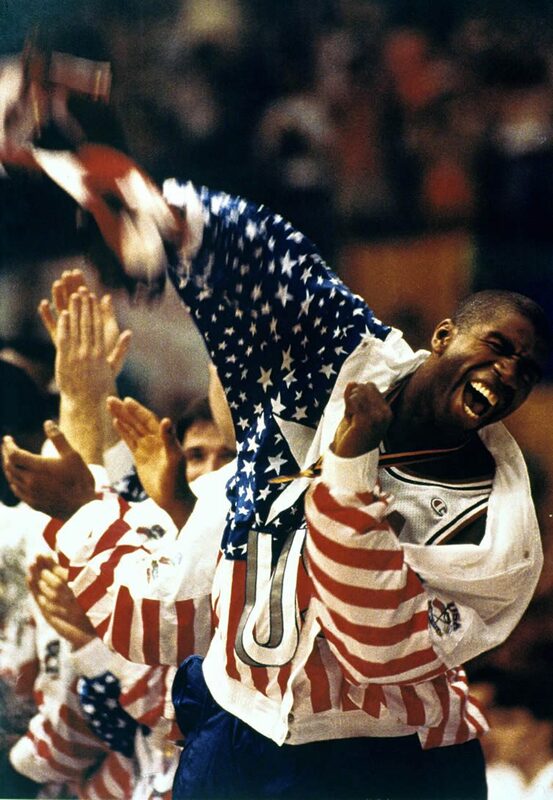 Magic Johnson ecstatic after the American team’s defeat of Croatia 117-85 in the basketball final at the Barcelona ’92 Olympic Games. EFE. From Barcelona ’92 Images: Building for the Olympics at Espai Mercè Sala. Sant Martí d’Empúries (Girona), 13/06/1992. 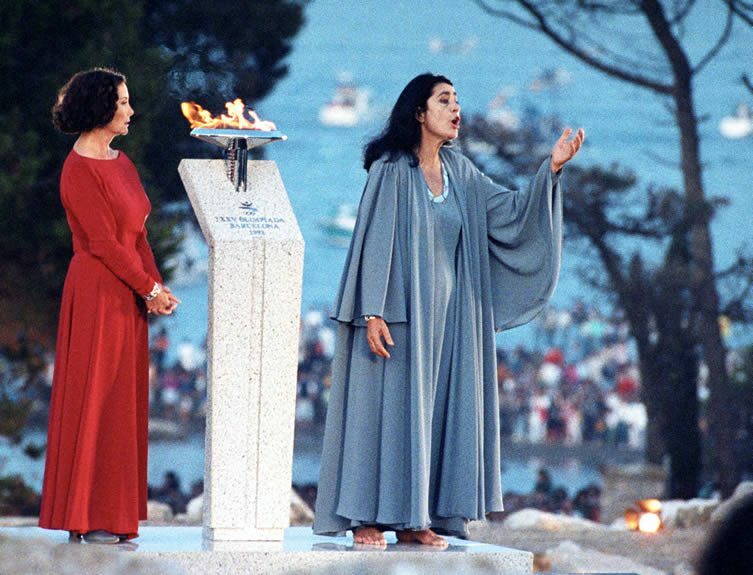 Actresses Nuria Espert (left) and Irene Papas (right) during the event to welcome the Olympic flame following its journey from the Greek city of Olympia to the port of Empúries, from where it will visit every region of Spain. The Catalan and Greek actresses, representing the two ends of the flame’s journey, were responsible for transferring it to a cauldron in the form of a lectern. EFE. From Barcelona ’92 Images: Building for the Olympics at Espai Mercè Sala. 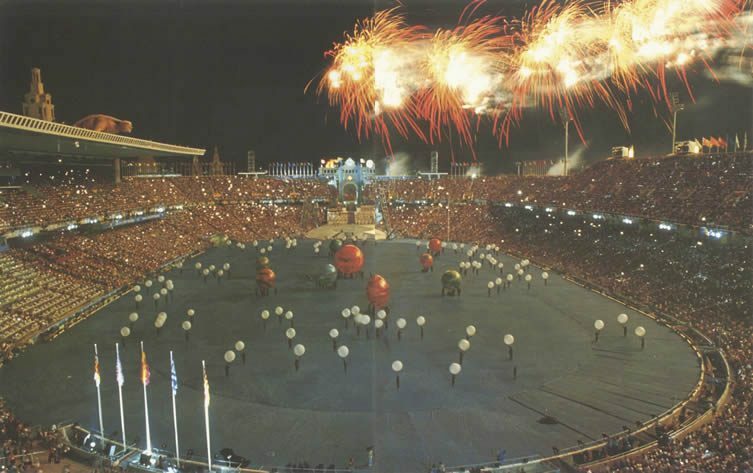 The opening ceremony of the 1992 Summer Olympics, taking place Saturday 25 July in the Estadi Olímpic Lluís Companys. 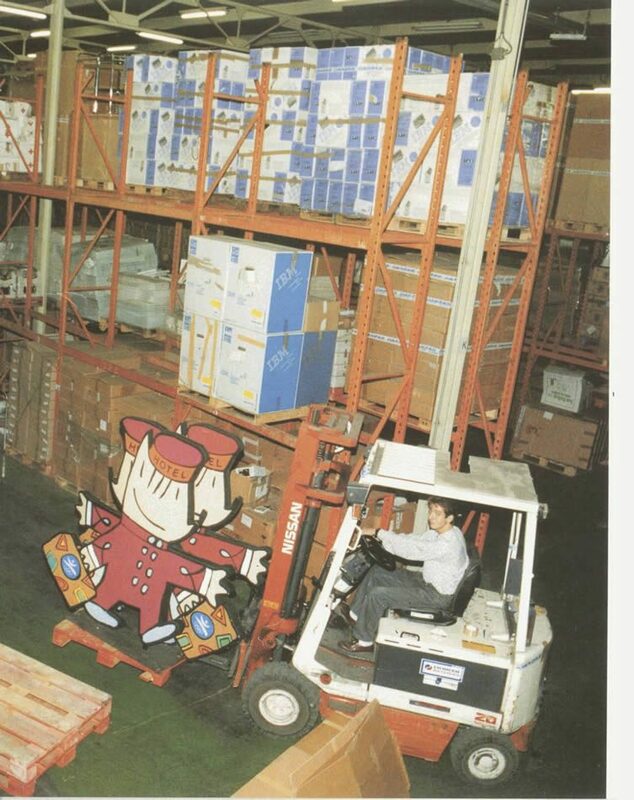 Barcelona, 03-09-1992. 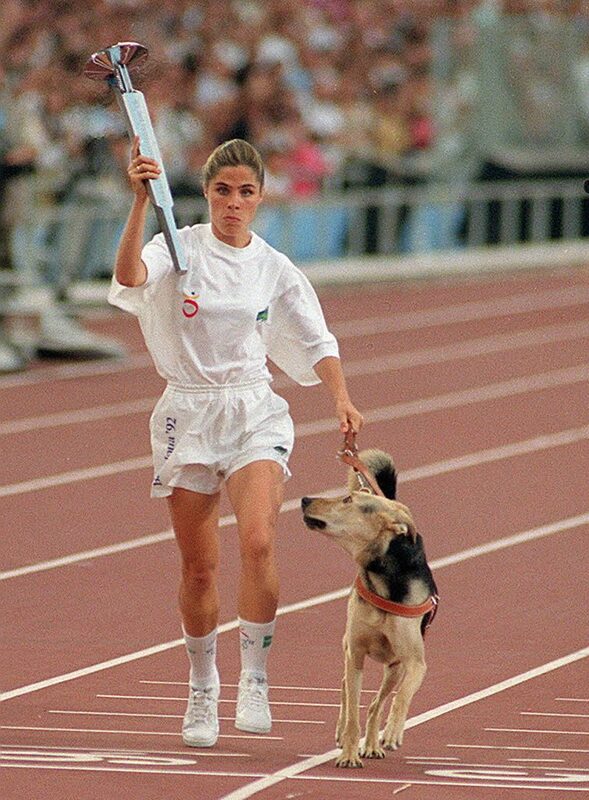 Athlete Purificación Santamarta, guided by her dog, carrying the Olympic torch during the opening ceremony of the Paralympic Games. EFE/Julián Crespo. From Barcelona ’92 Images: Building for the Olympics at Espai Mercè Sala. Barcelona, 04-08-1992. 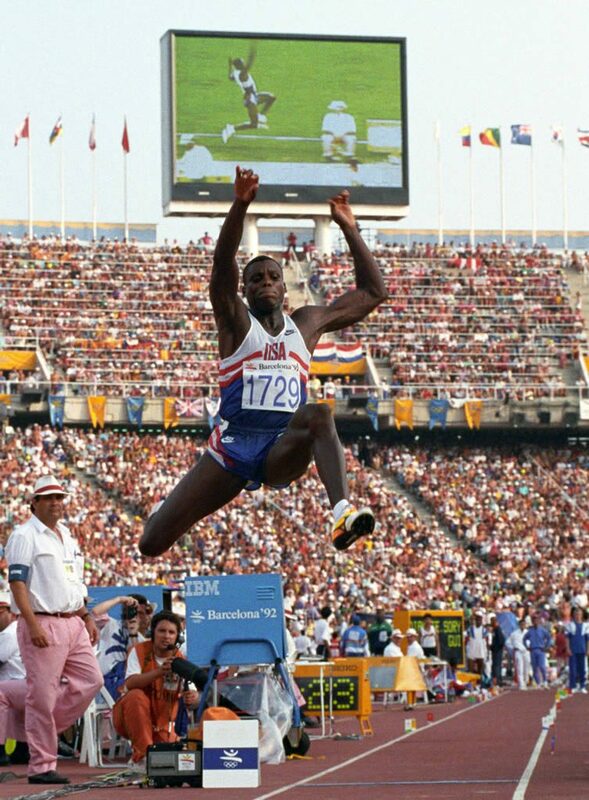 American athlete Carl Lewis during the qualifying round of the long jump event at the Barcelona ’92 Olympic Games. EFE/Albert Olivé. From Barcelona ’92 Images: Building for the Olympics at Espai Mercè Sala. Barcelona 07/12/1936. The Spanish athlete José Molins has proclaimed champion of the XXXV Edition of the Great International Prize of Athletics “Jean Bovin” of Barcelona. 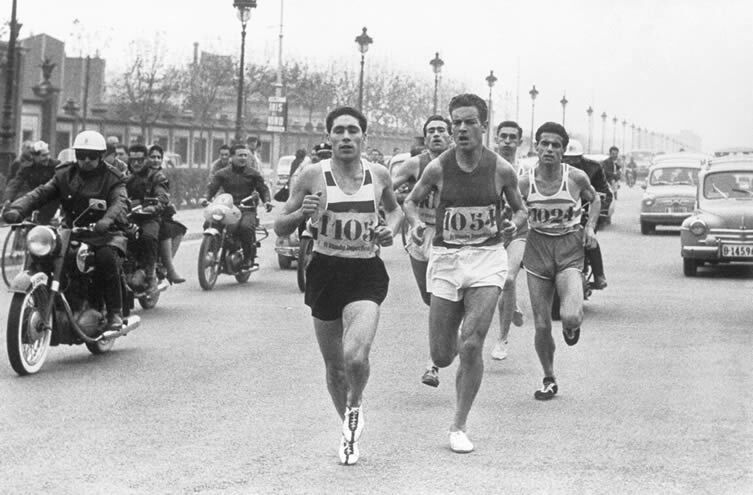 In the image, José Molins during the test. EFE/Carlos Pérez de Rozas. 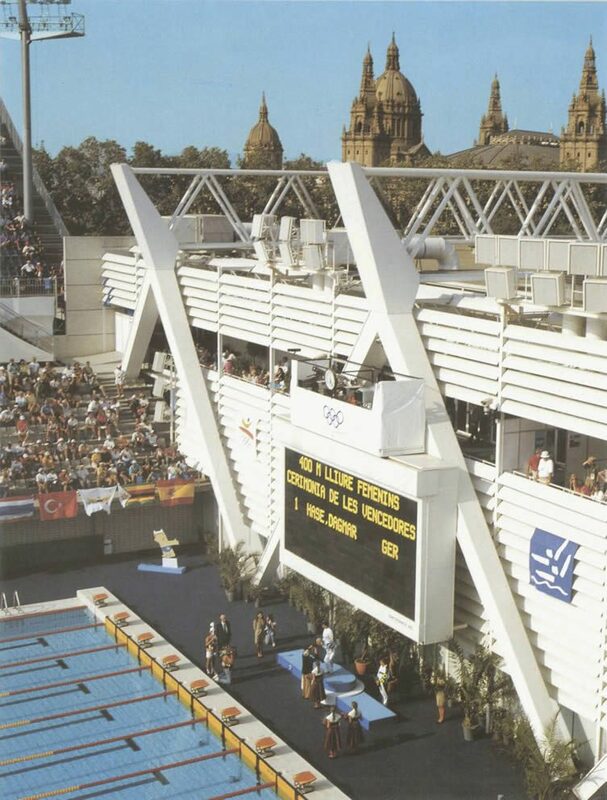 From Barcelona ’92 Images: Building for the Olympics at Espai Mercè Sala.